Lily Yu is no longer a homicide cop, but her life and her job as an agent for the FBI's Magical Crime Division certainly hasn't gotten any easier. Assaulted at her sister's wedding, trying to come to terms with her Were mate, Rule Turner, the prince of wolves himself, and still trying to find the ever-elusive Reverend Harlowe...and more importantly the big staff of necrotizing badness introduced in the series premiere Tempting Danger, she hardly has the energy to deal with the bodies that start piling up. Or the note left one one: This one's for Yu. Deal she must, however, and with the gritty determination and force of personality that is inherently Yu. She can't help it though, when events in her life put her positively beside herself. 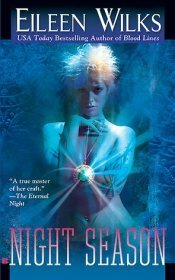 If you're looking for a paranormal romance, Eileen Wilks' World of the Lupi series may not be quite your cup of tea. While there are romantic elements in the book - more in Mortal Danger than in Tempting Danger (The World of the Lupi, Book 1), the series opener - those elements are not the driving plot of the book. If you like your books more along the lines of urban fantasy, then give Wilks a try. You won't be disappointed. 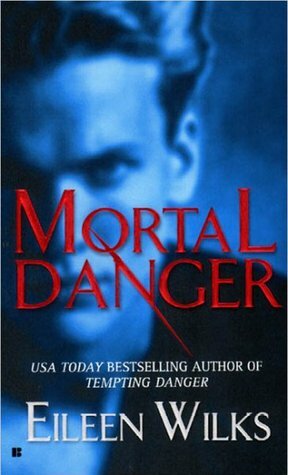 I really enjoyed Mortal Danger. 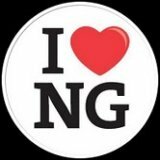 It lacked most of the pleasing police procedural of Tempting Danger, but it did introduce more of the fantasy side of the world that Wilks is creating. It's a well drawn and complex world, and I like seeing it unfold a little at a time. I also very much enjoyed the both the re-acquaintance with established characters - I'm a huge Cullen fan - and the introduction of new ones. Cynna Weaver is an enigma and a treat. It wasn't quite as much a self-contained thriller as Tempting Danger, and it's certainly not anything I'd consider stand-alone, but it was a definite bridge for the series and a significant step in world building. The only minor complaint I have is that the plot was sort of split between worlds and the more urban parts were dealt with disappointingly quickly. The fantasy parts, however, were well written and interesting, and I very much enjoyed seeing more of the Lupi clan dynamics and politics in action. There's a lot of depth and a sense of history in this series that totally appeals, so it balances everything out nicely. I'm not entirely sure where the series is going yet in its overall arc, but I'm enjoying the hell out of getting there. Nicely done.